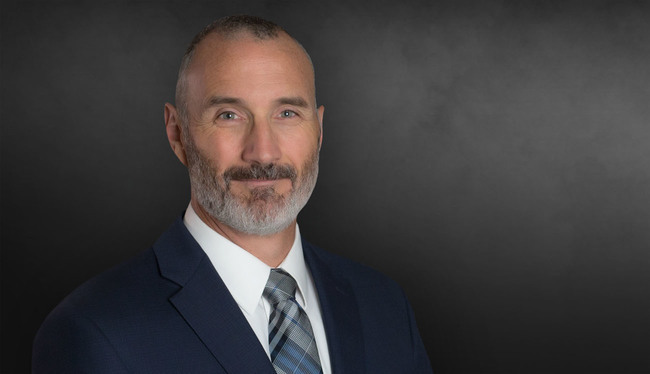 Josh Swiger has extensive experience representing clients throughout the country in foodborne illness matters, including defending personal injury actions, analyzing coverage positions, counseling on regulatory compliance and assisting with risk-sharing analysis. He has assisted as counsel appointed by the Bankruptcy Court in the Jensen Farms and Peanut Corporation of America outbreaks to value cases submitted in those proceedings. Josh is a former Chair of the DRI Product Liability Food Law Special Litigation Group and has been asked to lecture on foodborne illness issues on numerous occasions. In addition to foodborne illness work, Josh handles a broad range of matters including aviation, product liability, contract and construction actions, and intellectual property cases. Josh has a degree and background in chemical engineering that aids analysis of complex, technical issues. Josh is AV rated by Martindale-Hubbell®. Representing the world’s largest beef producer in a foodborne illness case where the plaintiff is claiming catastrophic injuries including cognitive deficits, cortical blindness, and renal failure. Represents Delta Air Lines, Inc. and Southwest Airlines, Co. in a number of litigated matters. Representing smoothie franchisor associated with national Hepatitis A outbreak. Recovered millions of dollars for a general contractor involved in construction of the Huntsville / Madison County jail in Huntsville, Alabama, while successfully defending claims of construction defect related to the project. Obtained very favorable settlement on behalf of Montana Power Company in a class action suit filed by over 3,000 claimants claiming hundreds of millions of dollars in damages related to operation of the Kerr Dam on Flathead Lake in Montana. Successfully resolved punitive damages and personal injury claims against food processor client during bifurcated trial in federal court in Utah in 2011. Represented Mid-West beef processor in national E. coli outbreak in the Summer of 2008 with over 80 confirmed cases linked to the outbreak. Represented California lettuce processor in Northeast E. coli O157:H7 outbreak in November-December 2006 (Taco Bell E. coli outbreak). Represented California spinach processor in national E. coli O157:H7 outbreak in August 2006. Successfully defended major chemical manufacturer in CERCLA and HSRA environmental claims. Successfully resolved copyright and trademark infringement claims for international motorcycle and personal watercraft manufacturer. Obtained favorable settlement in Fulton County, Georgia, in wrongful death, electrical-shock case involving allegations of design defect to insulated aerial lift device. Obtained favorable settlements in Fulton County, Georgia, and Fayette County, Kentucky, in favor of international construction firm in claim alleging breach of contract and construction defects against subcontractor and fraudulent transfer of assets and misappropriation against principals and successor corporation of the subcontractor. Martindale-Hubbell®, AV Preeminent Rating 5.0/5.0, with "high ethical standing"
Swiger, Joshua E. "Litigation is Like an Ultra-Endurance Race." Fulton County Daily Report 13 Sep. 2016. Speaker, University of Arkansas LL.M. Program in Agricultural & Food Law on November 9, 2012. "Food Traceability and Litigation: Spoiled by Challenges, Yet Ripe for Opportunity," DRI Product Liability Conference, Las Vegas, NV on April 11, 2012. Presenter, Hartnell College Food Safety Summit in Salinas, CA on May 20, 2011. Presenter, Food Safety & Water Quality Co-Management Forum in Watsonville, CA on December 8, 2010. "Case Studies Including Leafy Greens, Peanuts and Ground Beef," International Association for Food Protection Annual Meeting, August 2010.